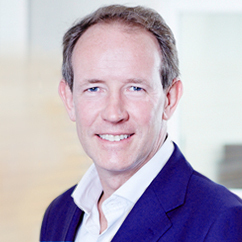 Ross started his career in 1994 at Deloitte Corporate Finance where he advised management teams on MBO’s. In 1996 he moved to JP Morgan Partners, the private equity arm of JP Morgan. From 2006 Ross began investing on his own account, started working with Alan in 2008 and subsequently with David from 2009. He trained as a chartered accountant in PWC.